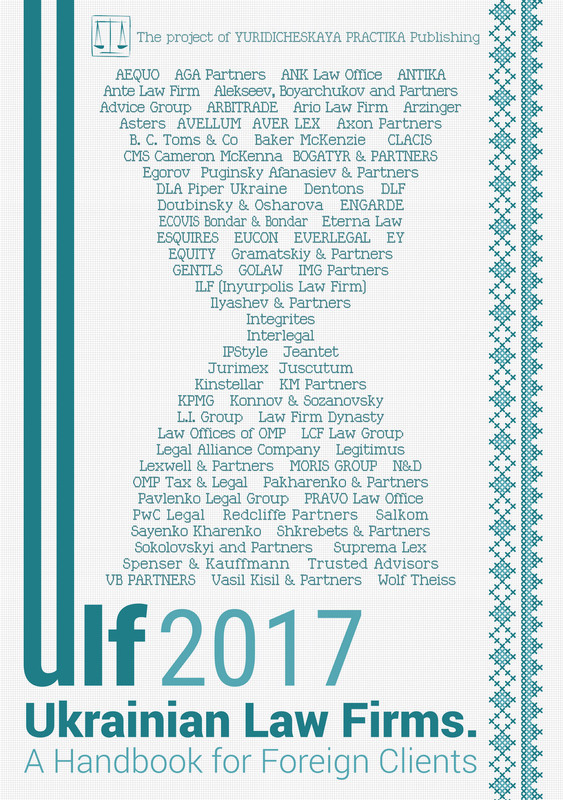 Alekseev, Boyarchukov and Partners is one of the leading law offices in Ukraine. It is known as one of the most successful law firms with wide practical experience in representing clients in the questions of bankruptcy and debt restructuring, corporate management, litigation and settlement of disputes in courts of arbitration. JSB Energobank where they were working at the time. In 2003 partners established the attorney’s association XXI Century which specialized in litigation. In 2005 Sergey Alekseev and Sergey Boyarchukov founded Law Offices Alekseev, Boyarchukov and Partners specialising in questions of bankruptcy and debt restructuring, corporate management, litigation and settlement of disputes in courts of arbitration. In November 2014 Sergey Alekseev left the company as he was elected to the Parliament of Ukraine of the 8th convocation as an MP, leaving management to his partner Sergey Boyarchukov. Today, Law Offices Alekseev, Boyarchukov and Partners is a team of 30 lawyers who work in the areas of banking, financial, tax, corporate, competition, antitrust, labor, land and criminal law. We offer innovative legal solutions to Ukrainian and international companies, banking and financial institutions, Government agencies and individuals. Strong professional experience and thorough understanding of Ukrainian business environment allow us to offer our clients the most effective solutions for their business within the shortest period of time. Unfortunately, the economic situation in Ukraine showed no significant improvements in 2016. However, business is slowly stabilizing, and while in 2015 the vast majority of companies suffered some losses, in 2016 we saw a tendency towards strengthening of position. Of course, there are a number of reasons for that. First, the law-making body adopted a series of regulatory acts last year, which were aimed at supporting businesses, including the Law of Ukraine On Financial Restructuring, which will be further referred to, and several interesting initiatives are under consideration or development and may turn into laws in the near future. Second, almost all the companies of various sectors understand the need for mutual support. While in the past the easiest way to settle bad debts was recovery by a court of law, now mutual concessions, such as restructuring, discounts, deferred/instalment payments etc., are very common. It is because it has become clear that the execution of judgement in today’s conditions may take months and result in the bankruptcy of a contractor. The relationships with banking institutions have the same features. The desire to sue is also discouraged by new court fees and advance fees introduced in case of applying for a state enforcement officer (bailiffs), which results in additional costs for the injured party, while there are no guarantees that violated rights will be recovered and money returned. Third, judicial practice states that debtors have an advantage, namely that if the law allows ambiguous interpretation, in the majority of cases courts will decide in the debtor’s favour. This tendency particularly remains in disputes regarding foreclosure on the mortgage or pledge, which, after debt collection, are the most common ones involving banks. Speaking about the most significant changes in the field of restructuring during the last year, the Law of Ukraine On Financial Restructuring should be noted first. The idea of its creation is not new, and it is inspired by the disappointing statistics of bad debts. The Law came into force on 19 October 2016, and will be valid for three years. It was decided to establish the temporary state institution with the participation of the National Bank of Ukraine, Deposit Guarantee Fund, Ministry of Economic Development and Trade of Ukraine, etc., which would become both a curator and a guarantor in legal relations between debtors and creditors. The law-making body has developed and established a procedure for the creation of special agencies, such as the supervisory board, the secretariat, the arbitration committee, where a person who arrived at a decision to settle bad debts should apply. First, the application of this law will enable the solving of a problem without initiating legal action, and this will save several hundreds of thousands in court, attorney and others fees, as well as your time. Second, financial restructuring will result in a solution that will suit both the debtor and the creditor, and the execution will be guaranteed by the temporary state institutions above. While the litigation results in a decision to recover the debt, which still has to be enforced. And during the trial the debtor can make maximum efforts to conceal the property belonging to him and avoid responsibility. The debtor and its creditors will negotiate and, as a result, conclude a restructuring agreement, which may also envisage involvement of investors to address financial issues. When the procedure is being implemented, a moratorium will be put on satisfaction of creditors’ monetary claims, so the debtor will be released from the additional burden and will be able to focus efforts on paying off his/her existing debts in the future. The debtor himself may come to the secretariat and apply for the restructuring if no action of solvency has been brought against him and no pre-judicial penalty is applied to him. After that it is necessary to involve the creditors, who jointly develop a restructuring plan. This plan may contain almost any condition as long as it satisfies all creditors and is intended to address financial issues. The financial restructuring plan may not work and the debtor will have to initiate bankruptcy proceedings. Here I would like to note that existing laws on bankruptcy allow to review and declare invalid agreements / deny the debtor’s actions with his property committed one year before initiation of the bankruptcy. This provision aims to return the property, which the unscrupulous debtor alienated with the purpose of working himself into bankruptcy, to the liquidation estate. However, if these agreements are concluded as part of the restructuring plan, they shall not be declared invalid. Thus, the law-making body guarantees the rights of investors involved in the process of restructuring. The above Law has not been applied yet because all the necessary institutions are not fully established, so we look forward to its active force next year. In addition, we would like to highlight two important legislative initiatives, namely: Draft Law On Restructuring of an Individual’s Debt or Declaring Him/Her Bankrupt (so-called consumer bankruptcy), and the Draft Law On Mediation. Both institutions are used quite successfully around the world, so the need for their implementation in Ukraine has been discussed for a long time. For example, the Draft Law On Consumer Bankruptcy, which is not the first attempt to resolve this issue, was put before Parliament back in 2015, but it is still under discussion and finalization. However, the need for its adoption is very acute, so changes are coming. In Ukraine, an individual is unable to settle his bed debts. The hryvnia currency crash, job cuts, and reduction in public paying capacity lead to the fact that an ordinary person actually has no possibility just to repay an existing debt to the bank, but see any prospects for himself or his family, because sometimes debt repayment requires 10-20 or more years with paying not a part, but almost a person’s entire income, to the bank. Many countries have a personal bankruptcy institution, as a result of which a person is released from his burden and gets a chance to start over. Loans may be granted to such person in the future, but under a certain condition: a bankruptcy case against him may be recommenced, at least, 5 years after the date of the previous case. This procedure is also necessary for banks, because the record keeping of actual bad debts, which are repaid at the rate that the financial institution barely notices them, is also a burden for them. And further litigation and enforcement also increase expenses. It is envisaged that personal bankruptcy proceedings will be considered by commercial courts that already have extensive experience in these matters, though with legal entities. On commencement of bankruptcy proceedings, the debtor’s asset authorised manager, who will coordinate the conclusion of property alienation agreements, is appointed. The debtor’s asset management procedure takes 115 days and may be extended by a court in certain circumstances. At this time, the debtor shall submit the debt restructuring plan, which contains either restructuring or repayment of debts or an amicable agreement with creditors. If the debtor has only one creditor, for example, a bank issued the mortgage, the procedure may be simplified. In November 2016, the Draft Law On Mediation was adopted in the first reading. This law provides the possibility of mediation in any conflicts/disputes, including civil, family, labour, economic, administrative and criminal proceedings, as well as administrative offence cases. Parties will be able to include the mediation clause into a contract they conclude between each other. This clause will not prevent them from initiating legal action. That is, the involvement of a mediator at the stage when the dispute is past avoidance and either party insists on initiating legal action will not be seen as possible. The mediator may be a person who meets the statutory requirements and has a certificate. The main difference between the mediator and the judge, including arbitrator, is that the mediator does not define the guilty party in the conflict or offer the best dispute solution for either party. The mediation may result, among others things, in the restructuring of any form. And this is agreed at the lowest cost. Unlike court proceedings, the parties in mediation are not limited to procedural mechanisms. We would like to especially note the institute of “pre-judicial recovery.” It was introduced in January 2013 in connection with the adoption of the new version of the Law On Bankruptcy. However, it was only last year that this procedure was intensively applied. Pre-judicial recovery provides for the settlement of bad debts before the commencement of bankruptcy proceedings. It is somewhat similar to the financial restructuring referred to above, but in this case the “curator” is the commercial court. The pre-judicial recovery may be introduced upon the written consent of the debtor and creditors, whose total amount of claims does not exceed 50% of the total debt, and if a recovery plan agreed by the creditors is in place. Despite its simplicity and appropriate legislative response, pre-judicial recovery is not very popular in practice. Ukrainian businessmen, regardless of whether they take the position of debtor or creditor, take innovation with caution or even fear. So as long as either mechanism is not widely used, it hardly receives any attention. In this light, we should thank the transparency of the Register of Judgements. Indeed, the case of approval of the pre-judicial recovery plan for S. Ordzhonikidze Kharkiv Tractor Plant JSC examined by the Kharkiv Region Commercial Court (Case No. 922/1882/16) was made public in 2016. This case, in particular, helps to comprehend how pre-judicial recovery works in practice. Debtors, asset managers and creditors have an opportunity to “learn from the mistakes of others”. In general, we can say that 2016 was a year of restructuring. And there is good reason to believe that this tendency will remain over the next few years.